The 9021's stainless steel body resists rust and corrosion better than other glue tanks, which is ideal for shops near salt water. Its 5-gallon capacity is well above the volume most wood shops will need- we recommend tracking your own glue use before ordering to make sure you need the extra volume. Its rugged design stands up the wear and tear of daily use in a busy shop. The tank comes equipped with our standard glue gun, a versatile tool which can accept the full range of specialized Pizzi glue nozzles. 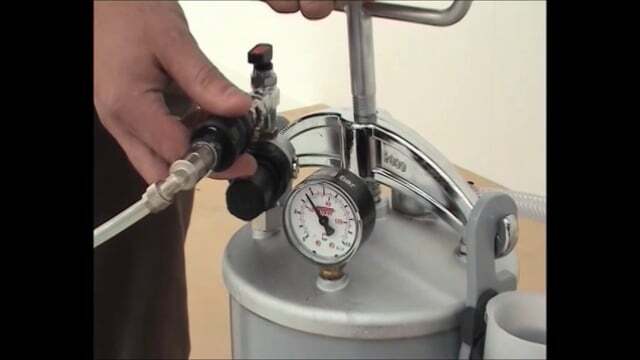 The tank features three hose fittings, so three operators can use the tank simultaneously with the addition of another glue gun and hose.